On July 5, 198 riders from 22 teams will roll away from the start line in Leeds in the United Kingdom, signaling the beginning of the 101st edition of the world’s most important bike race, the Tour de France. Over the next three weeks, the planet’s best bike racers — and their top-shelf two-wheeled machines — will face a daunting 2,272-mile trek that tackles the rolling hills of Yorkshire, crosses the rough cobblestone roads in northern France, ascends the towering Alps and Pyrenees, and finally spins into Paris for the finish. 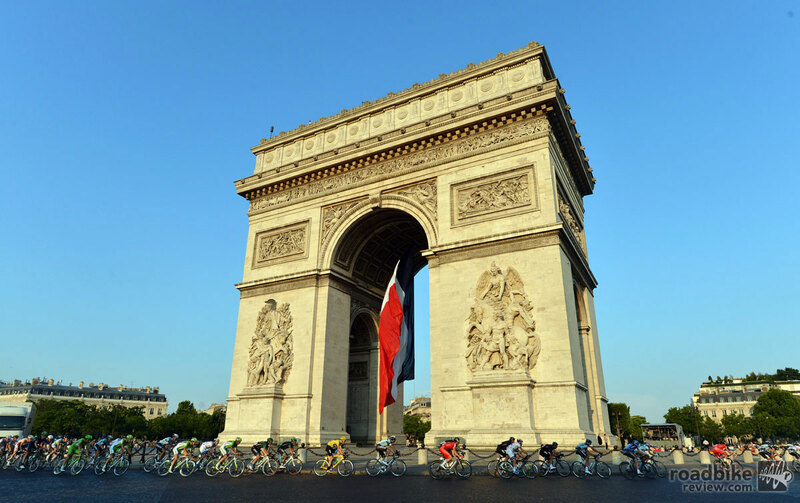 RoadBikeReview.com will be on the ground in the U.K. and France, providing an inside look at the bikes and equipment required to complete this amazing and arduous journey, which concludes July 27 along the famed Champs-Elysées. For the latest news and updates, bookmark this page and check back often. We’ll be posting daily tech features, photo galleries, results and much more. Vive le Tour! 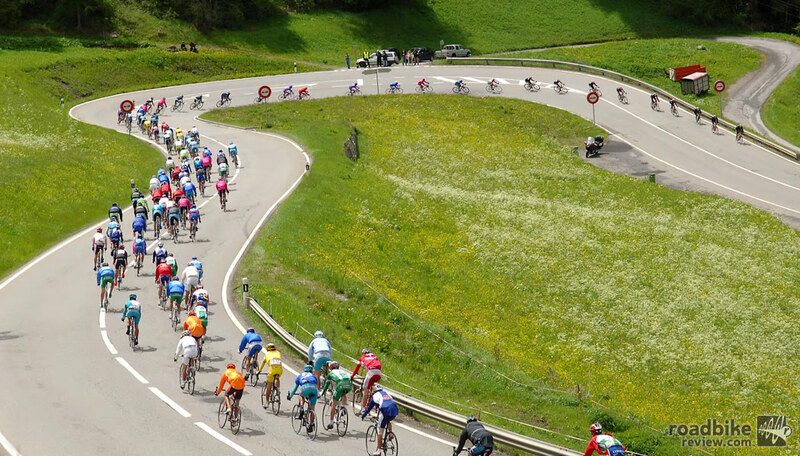 The Tour de France is a great bicycle spectacle, featuring the world’s biggest names, spectacular scenery, and hours of TV commentary. But it could be a whole lot better with these changes. On the 40th anniversary of providing neutral support at the Tour de France, Mavic announced this week that the long-term partnership at the world’s most prestigious professional cycling race will be renewed through 2022. Curious about those gorgeous Tour de France trophies? Here’s a little behind the scenes video on how they’re made. Goal to spotlight progress being made to achieve primary goal of Paris Accord — maintain global temperature increase to less than 2 degrees Celsius. With the start of the 2017 Tour de France just days away, Chris Froome is once again the favorite to take the final yellow jersey in Paris. 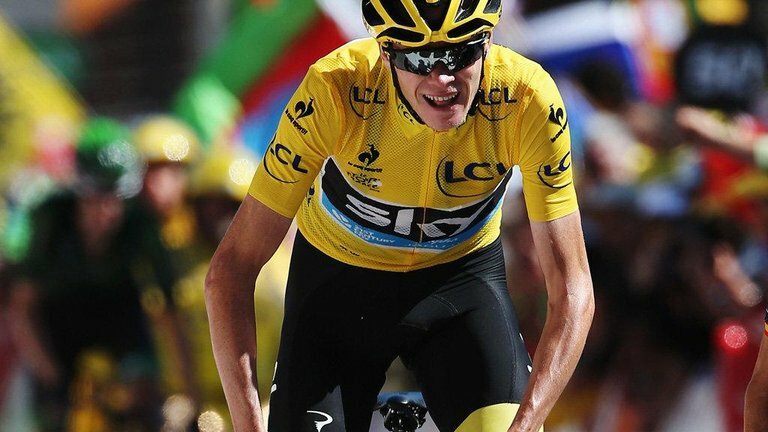 If the British Team Sky rider can pull it off it will be his fourth overall title. 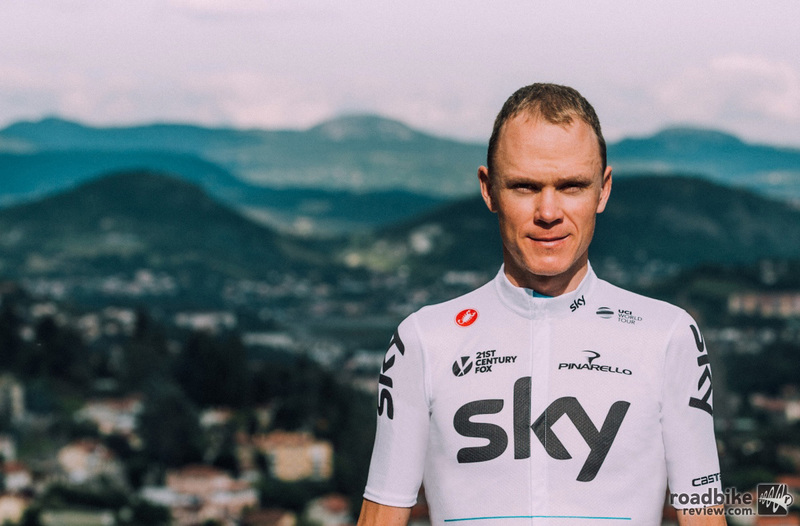 Winner of his third Tour de France, Chris Froome wore the Yellow Jersey in controlling the competition beginning at the Bagnères-de-Luchon stage just until the Champs-Elysées. But the Briton had to deal with a host of new challengers and challenges. 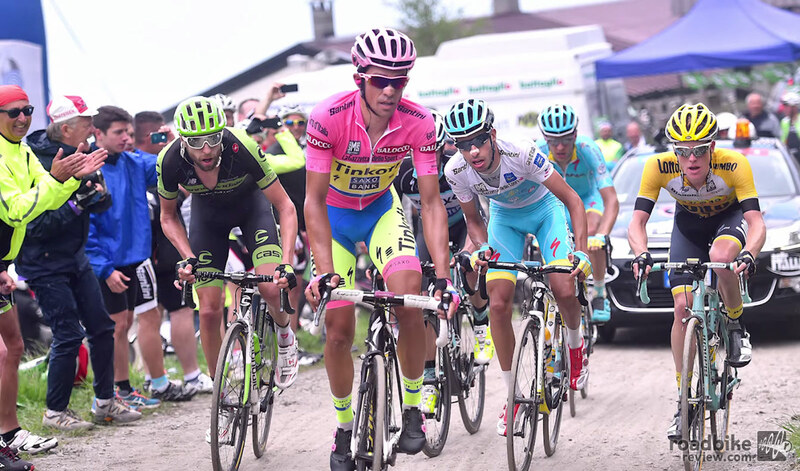 Here is a look back at the 2016 Tour de France. 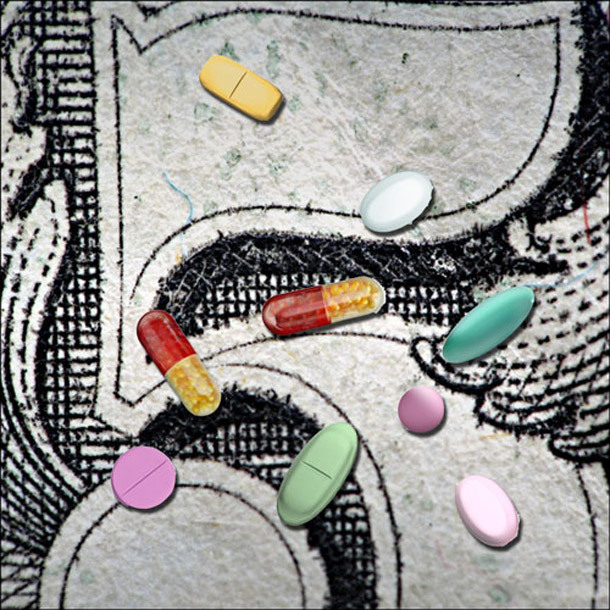 Spitting in the Soup explores how the deals made behind closed doors keep drugs in sports. The book unwinds the doping culture from the early days, when pills meant progress, and uncovers the complex relationships that underlie elite sports culture. The new book Spitting in the Soup explores how the deals made behind closed doors keep drugs in sports. 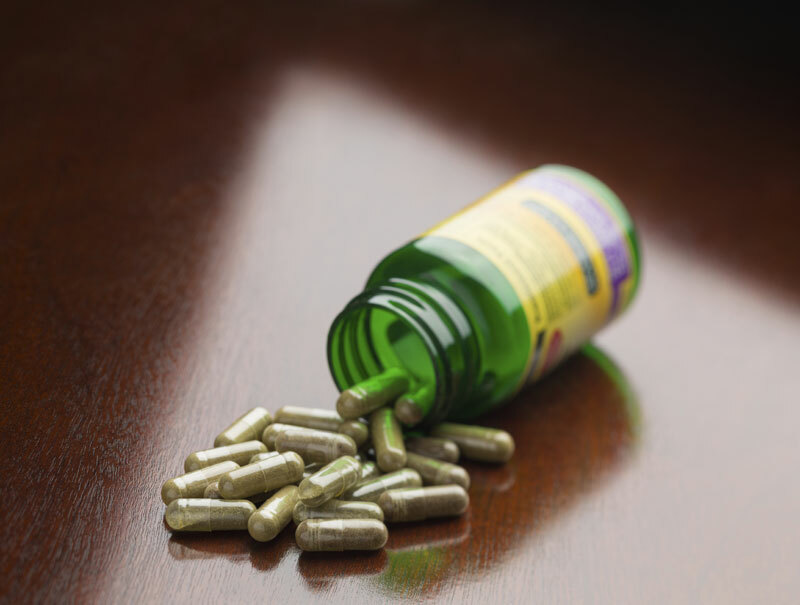 It unwinds the doping culture from the early days, when pills meant progress, and uncovers the complex relationships that underlie elite sports culture. The Tour de France is in the books for another year. While you know Team Sky’s Chris Froome picked up his second yellow jersey triumph, you may not know all the rules that govern this great race. 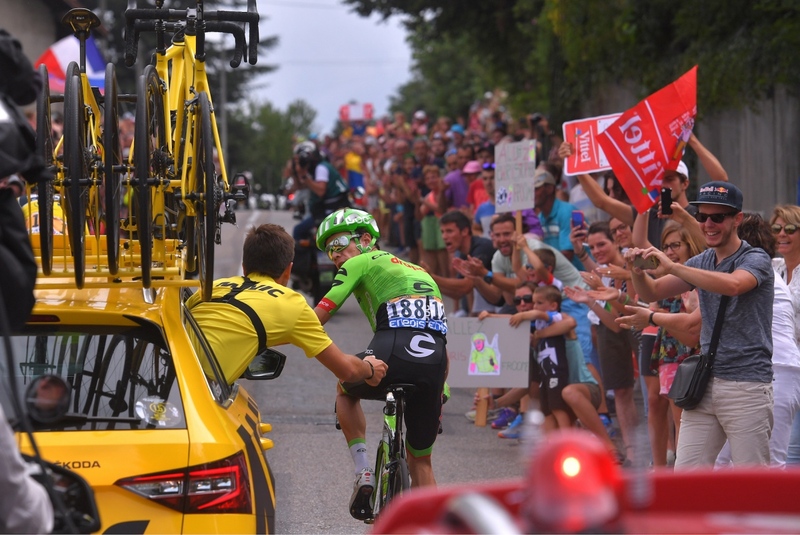 On the heels of the recently completed Tour de France, Dimension Data has released a cornucopia of numbers that help put this massive 21-day effort into clearer perspective. 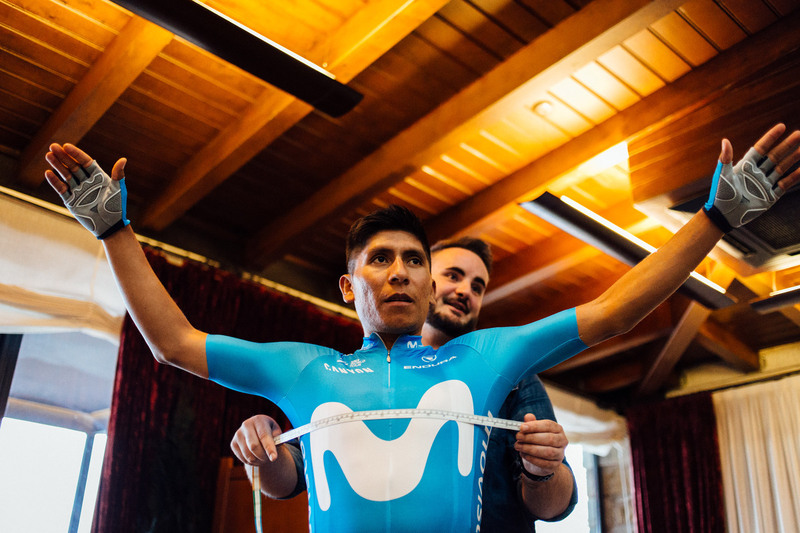 Find out what it’s really like to race a 3-week grand tour. Rumors of a full road drivetrain from FSA have been swirling for years, but now it appears the Italian/Taiwanese component maker is finally close to transforming talk into reality. 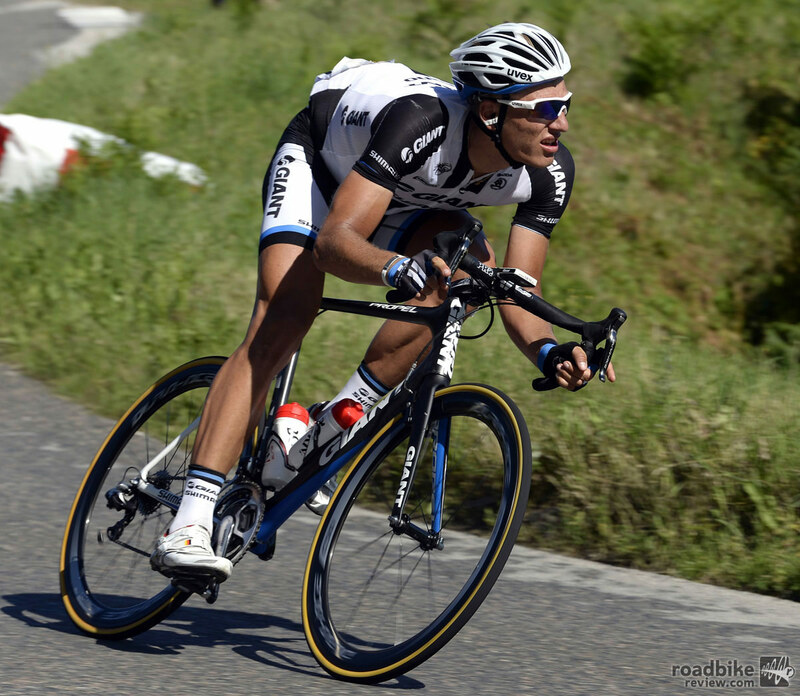 Is the Tour De France ready for disc brakes? 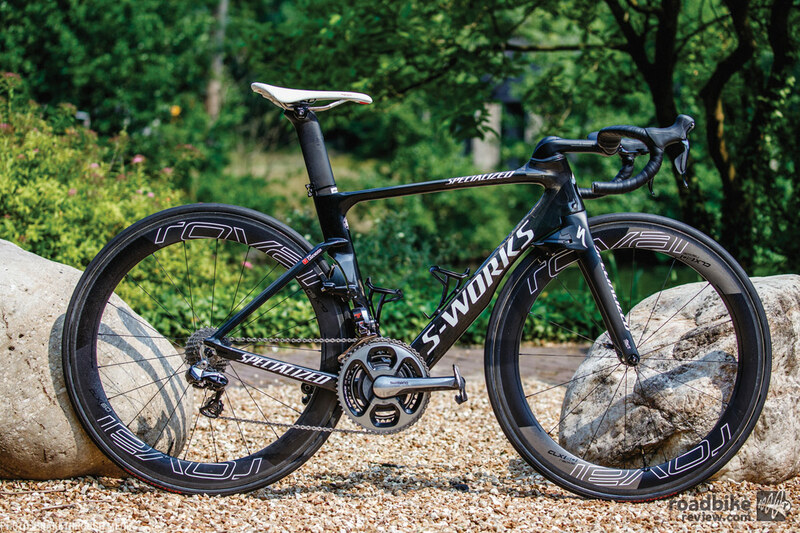 It’s been several years since disc brakes emerged as a viable way to slow down road bikes. 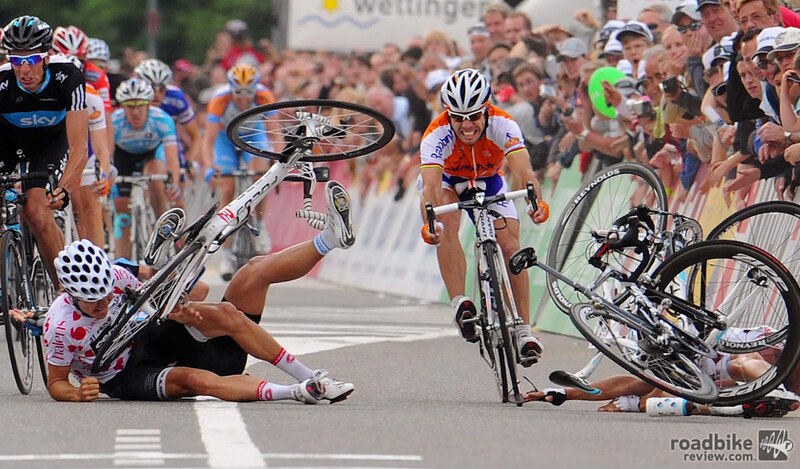 But the pro peloton continues to resist the new technology. Are their fears legitimate? With a host of new features such as seat tube storage, a BB386 bottom bracket, and an aero-enhancing oval seat post that includes two clamps that vary setback by 23mm and 49mm, the new Orbea Ordu time trial bike looks to compete with the fastest wind cheating machines being ridden at the Tour de France. 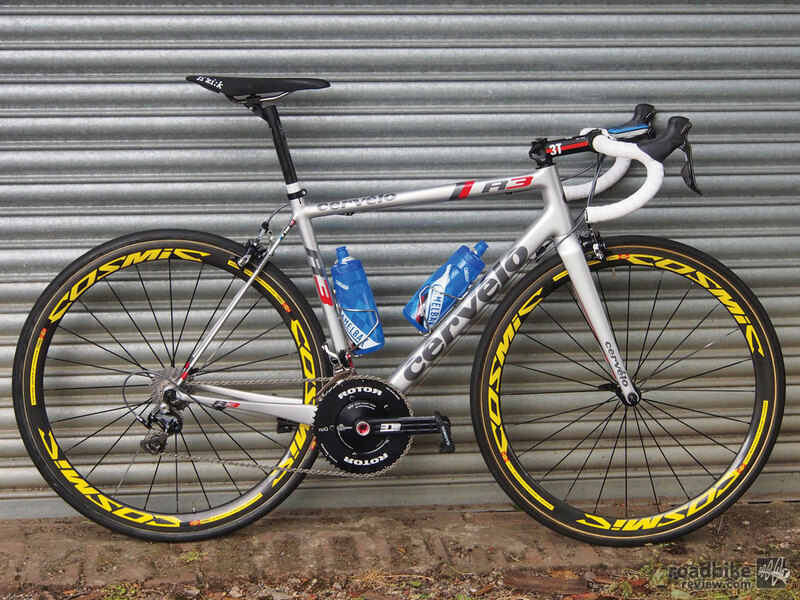 Manx Missile rides new aero road bike to first Tour triumph since 2013. 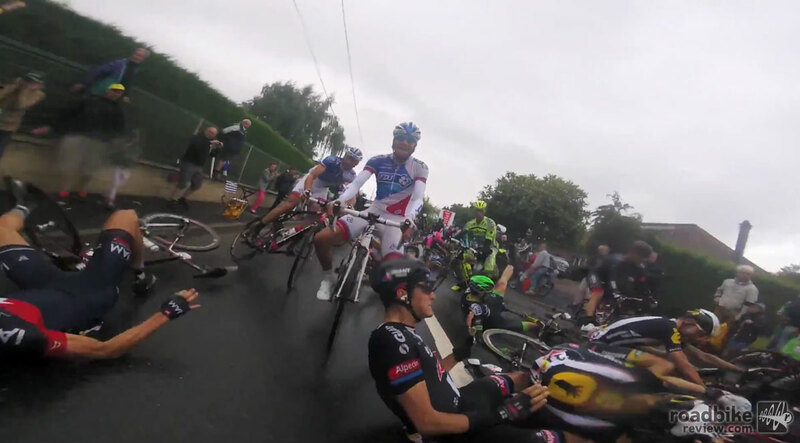 It was another wild (and this time wet and windy) day at the Tour de France. Here’s an inside look at some of the chaotic carnage. 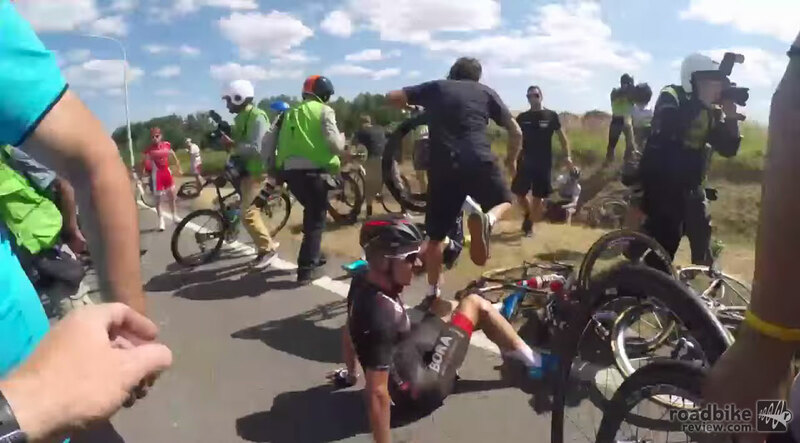 Midway through the run from Antwerp to Huy in Belgium, a slight touch of wheels set off a cascade of carnage that knocked a handful of riders out of the race, including then-yellow jersey holder Fabian Cancellara. 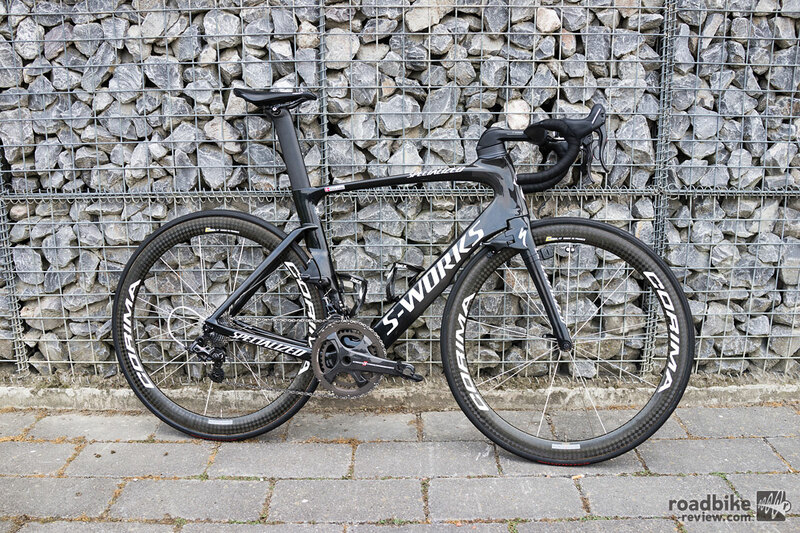 Arguably the most talked about bike leading up to this year’s Tour de France is Specialized’s new S-Works Venge ViAS aero roadster. Here’s a look at Astana’s Jakob Fuglsang’s race rig. The world’s greatest bike race kicks off Saturday, when the 2016 Tour de France gets rolling in the Netherlands. Here are the 10 riders you need to keep an eye on. 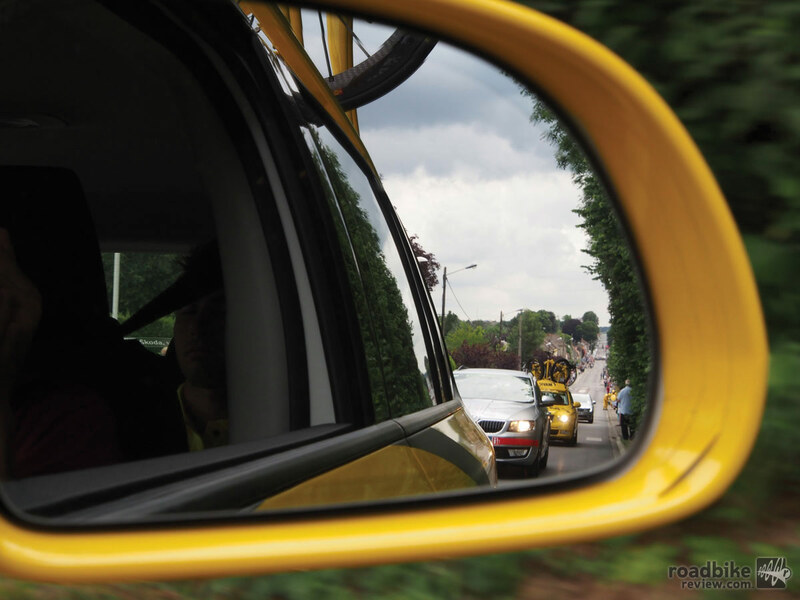 Take a look inside the Tour de France peloton from inside one of the most important caravan cars in the race. 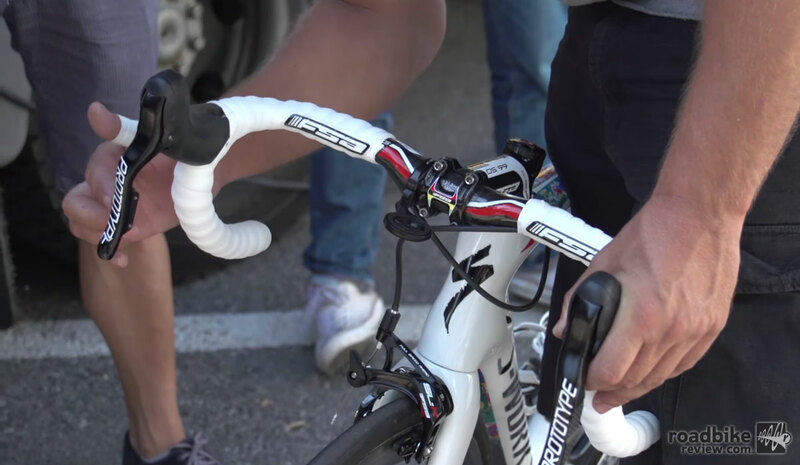 Analysis: Do disc brakes belong in the pro peloton? There are strong arguments — and advocates — on both sides of this debate. But one thing seems clear, disc brakes are coming to top level racing whether people like it or not. 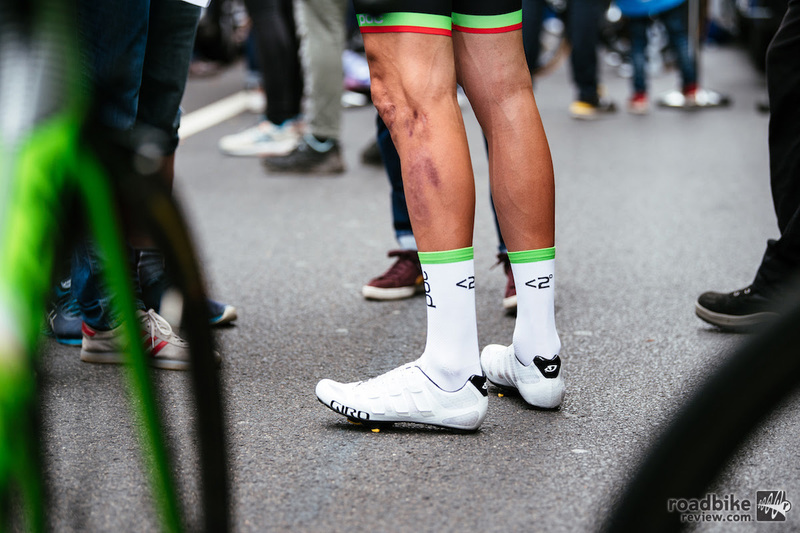 Marcel Kittel won the final stage, Vincenzo Nibali was officially crowned overall winner, and Graham Watson was there to document it all. The 2014 Tour de France wraps up with another stage win for German Marcel Kittel, and the crowning of overall champion Vincenzo Nibali. 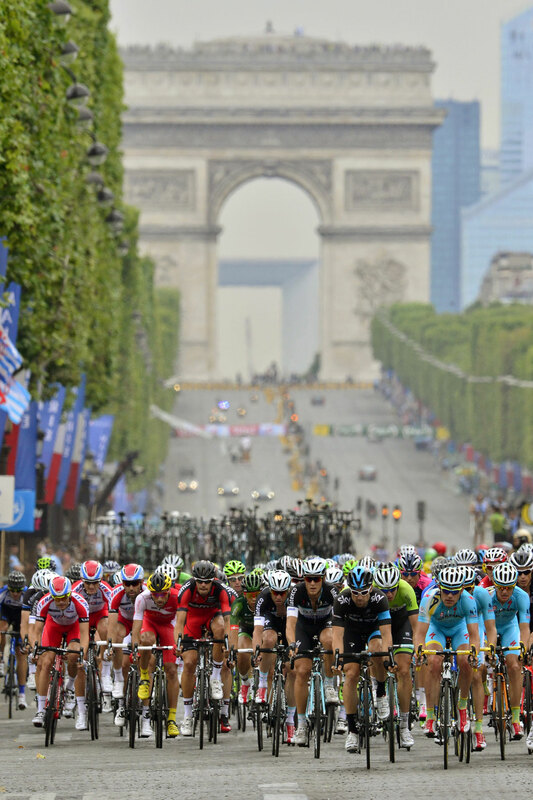 The final stage of the 2014 Tour de France traces a familiar path into the City of Light and on to the famed Champs-Élysées. This is normally a day for the sprinters and we don’t expect that to change this year.